States are obligated to take appropriate measures which consider the vulnerability of older people. Within a rights-based framework, means establishing social security schemes that provide benefits without discrimination of any kind and ensure equal rights for men and women. Today, large proportions of the population work outside the formal employment sector and traditional informal support systems for older people are changing under the pressure of increased longevity, widespread poverty, the impact of HIV/AIDS and migration. Contributory pension schemes (e.g. 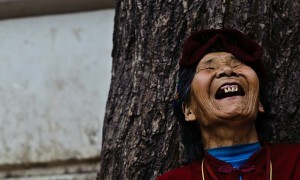 employment-based pensions) do not reach all older persons. Therefore, States must recognize that social pensions are critical elements for the progressive realization of the right to social security for older people. Non-contributory pensions can significantly reduce poverty and vulnerability among old people, in particular for women, who live longer and are less likely to benefit from contributory systems. 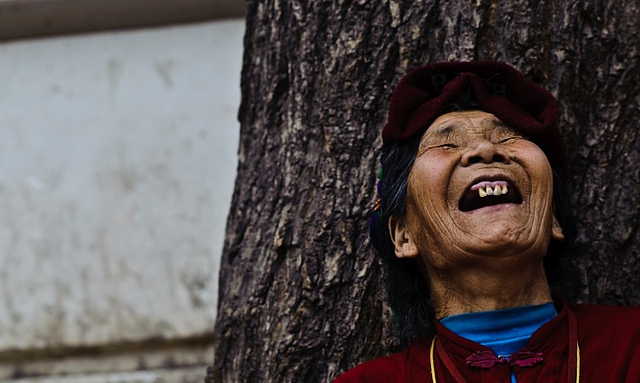 Photo credit: “Laughing Tibetan woman” by Francois de Halleux (CCBY 2.0 via Flickr). This document provides a world comparative analysis regarding the design and reform of pension systems in order to improve coverage, equality and sustainability. It looks at how pension systems, rules and financing affect coverage, sufficiency, and distribution as well as fiscal and intergenerational sustainability and equality.